Even though I can’t admit it to myself, my little design firm is going under. Every month, the prospect of reading my reports fills me with dread. Then, my business partner, Roxie, comes breezing into my office with news I can’t ignore. We’ve won an exciting and lucrative new contract. That contract happens to be the remodel of the Wellington twin’s French chateau. My horrible ex-fiancé is the one who got us the job. I knew from the moment I laid eyes on Rebel that I was in trouble. He was like no Omega I’d ever met before. It doesn’t take long for me to realize that he’s everything I’ve ever wanted. My twin brother feels the same way. No Omega has ever made me want to put aside my partying ways and settle down. It doesn’t take long for me to realize that Rebel is better than anything I’ve ever known. There is no hitch. I always get what I want. 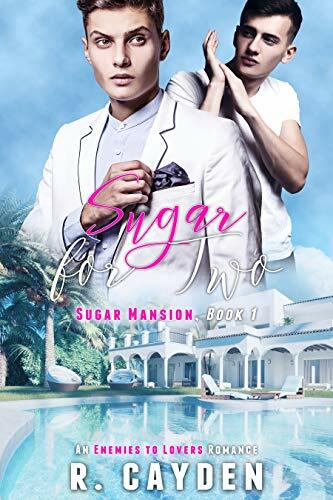 The Omega’s Twin Billionaires is an m/m/m mpreg romance. It’s the first book in the Big City Alphas trilogy. My father got busted stealing corporate secrets from Cain Whitmore. Now, the hot-as-hell billionaire wants to blackmail me into marriage. I should hate a man who threatens my father and wants to buy my body. But, he’s rich, gorgeous, and desires only me. The more time I spend with Cain, the more I wonder if he’s not at all what he appears to be. Still, our relationship is supposed to be nothing more than a business deal. I need to guard my heart. But, marrying Cain and having his baby is beginning to feel real. If I let him into my world, will it destroy everything that I love? Wren is sweet, gorgeous, and in big trouble. I need a husband and a child to keep my inheritance, and Wren is going to fulfill those needs. He’s inexperienced, but I’ll take his body on the ride of a lifetime. How else am I going to get him knocked up? It’s just a business deal. One year of Wren’s life and a baby for a payout of ten million dollars. Then, he can go on with his life and forget I ever existed. I’ve never been in love. I swear that I’ll never fall. But, Wren awakens feelings in me that I don’t think I am even capable of experiencing. I find out that there is a secret clause in my father’s will that could destroy us both. Am I man enough to call myself Alpha? Or, will I destroy the gift that has been given to me?